S has been my best friend since the very first moment we met on my 17th Birthday, that nobody came to. We’ve been through good times, great times, and picked each other up and carried each other through some of the darkest times in our lives. In September 2010, only a short time after our third child (second son) was born, S and his girlfriend welcomed a beautiful baby girl into the world. And that baby girl is my God-daughter, little miss O. She is a magical blessing to so many people. So about a year ago when we were booking this trip of a lifetime, we knew that we would have WAY more fun if we had people to share the experience with, and S and A and O were not the first people we invited, because S has a very stressful job, and NEVER takes time off EVER, even at our son A’s christening he only took an afternoon away from work as that is all they could possibly spare him. Having already inclined myself to the fact none of our inner circle of friends would be able to take a whole month away from work, we asked S and A. They thought about it for a couple of days and DECIDED THEY COULD COME AND JOIN US!!!! And I have not got the words in my vocabulary to tell you how glad we are that they did. We had our fair share of hiccups and problems along the way during this trip. The most obvious of which was S taking a nasty tumble down the steps on the cruise ship. His lower back had a bump the size of two huge grapefruits on it, but he soldiered on. He kept pushing us all to adventure on and see and do fun and exciting (and often delicious) things, as he enthusiastically trudged through streets and alleys looking for food and activities in every port of call. And on Christmas eve, he and my husband had a two hour heart to heart, the upshot of which is my Best Friend FINALLY asking his gorgeous and fiery girlfriend to marry him! I’d pulled out all the same discussions and suggested to him that taking the plunge was the right thing to do and he needn’t be nervous countless times. Nothing. But one evening with my husband and the deal was well and truly done. Congratulations to them! They will have a long and happy life together indeed! The thing I am most grateful to him for is our last couple of days together. The family got struck down with a nasty (but fast) tummy bug and I had spent three days mopping brows and nursing sick family members in turn. So by the time we got to Buenos Aires, I was EXHAUSTED! We holed ourselves up in the hotel room and had a nice long rest while S and A and O walked for hours and hours through the streets of this amazing city. That evening, they came home to me in my jammies, not really considering going out, despite of the fact this is indeed the city of my dreams, and it has been a desire of mine to get here for 30 years! After some convincing (and a few wines) we left all the children with my gorgeous Grumpy and off we went. Thunder and lightening was rolling down the cobbled streets we were walking through at this point. 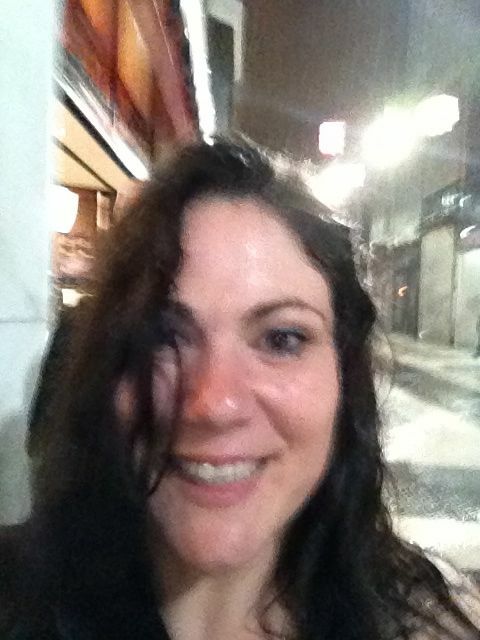 We ran through a downpour that was akin to having big ten gallon buckets of water thrown at you from close proximity. 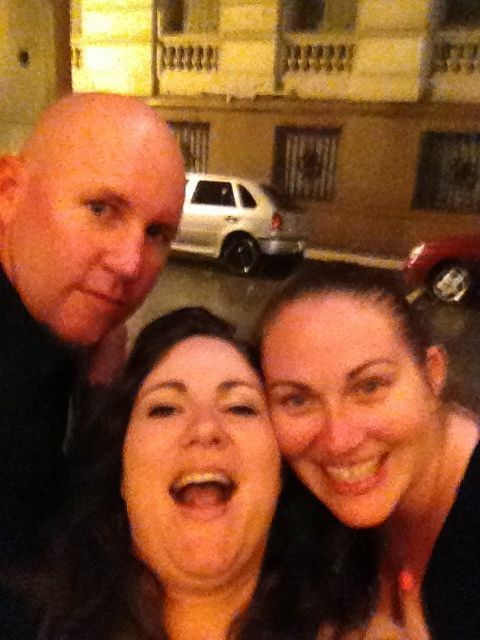 A and myself were soaked to the bone by the time we got to a Parilla restaurant for a nibble. We went upstairs to attempt (in vain) to dry off a little with the hot air hand dryer. It wasn’t a particularly successful endeavour. We had a magical few hours, got lost, laughed, talked, and made memories that I will cherish forever. I have no words to accurately describe how grateful I am to them for being such wonderful and patient and positive travel companions.